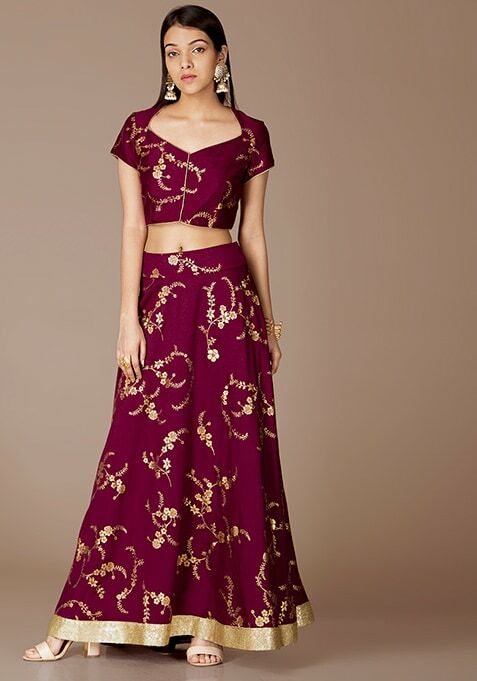 Beautifully tailored and finely finished wine hued maxi skirt to transform your ethnic look. Features floral foil all over and gold patch border. Work It: Style it with a matching crop top and a gold net dupatta to look stunning.